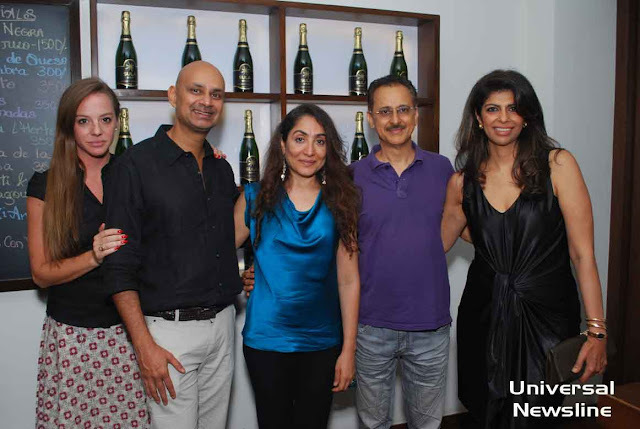 On May 8, everybody’s favourite Chocolate Ambassador Zeba Kohli of Fantasie chocolates hosted a sinfully decadent chocolate themed Wine Wednesday at Vinoteca by Sula. 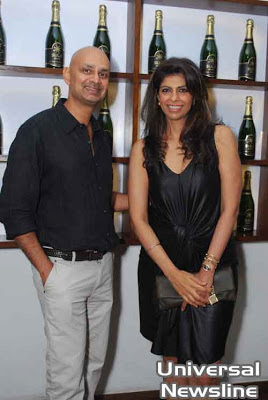 Present at the lively wine and chocolate pairing session were Jaideep Mehrotra, designer of the Sula Satori Merlot Malbec label, and his gorgeous wife Seema Mehrotra. In keeping with the Latin American origins of chocolate, Zeba Kohli carefully picked out some of her preferred Fantasie chocolates to pair with wines by Cono Sur of Chile and her favourites from Sula Vineyards. The audience saw some fantastic pairings with Zeba’s selection of white chocolates with the award winning Cono Sur Chardonnay. Orange milk chocolates were paired with Sula’s Riesling. 3 variations on the humble milk chocolate with the crowd pleaser - Cono Sur Pinot Noir. The grand finale was the dark chocolate selection with the Satori Merlot Malbec and the prized Cono Sur Reserva Cabernet Sauvignon from Maipo Valley. Wine Wednesday is a bi-weekly event organised at Vinoteca by Sula. 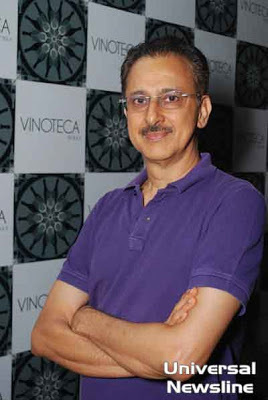 The sessions are hosted by various wine experts associated with Sula. Each session, 4 wines are chosen from Vinoteca by Sula’s extensive wine list and paired with tapas and pintxos from their ever-changing menu. The event is a great opportunity to enjoy a fun and educational soiree with friends, family, colleagues and associates. Vinoteca by Sula’s Wine Wednesdays have been promoted primarily by word of mouth, via the wine and tapas bar’s event page www.facebook.com/VinotecaBySula . 1. White Chocolate and Double Chocolate with Cono Sur Chardonnay- Unoaked and buttery with fresh citrus and fruit aromas of white peach are offset nicely by mineral hints. The palate is complex and fruity with more mineral hints. 2. Orange Milk Chocolate and Orange Water Ganache with Sula Riesling is a fruity aromatic wine with hints of green apples, grapefruit, peach & honey. 3. Single Origine Java 32% Milk Chocolate and pure creamy Milk Water Ganache and Organic Milk Chocolate with Cono Sur Pinot Noir- This voluptuous Pinot Noir with rich fruit notes of cherry, raspberry, plum and strawberry are enhanced by subtle smoked hints. On the palate its sweet fruit notes stand out and its fine tannins give it a great texture. 4. Single Origine 72% Venezuela Dark Chocolate with the Satori Merlot Malbec - A medium-bodied Merlot Malbec blend with hints of black cherries and ripe red fruit. Well-structured and smooth on the palate. “Satori” is a Zen term meaning “sudden enlightenment”. 5. 80% aromatic Dark Chocolate, 100% Dark Chocolate with Dates, Cono Sur Reserva Cabernet Sauvignon- Deep plum red in colour, this Cabernet Sauvignon comes from the Maipo Valley, known as the most traditional wine region in Chile. The nose displays ripe raspberries, strawberries and plums that combine with nice, sweet underlying spices. Fruity, full flavours of sweet plums linger on the palate with hints of mild integrated toasted oak. VINOTECA by SULA is inspired by the convivial neighborhood wine bars of Spain. Our small plates of delicious, authentic tapas and pintxos are prepared by our Spanish chef using fresh seasonal produce as well as organic ingredients sourced from Sula’s own estate gardens. The serving of tapas is designed to encourage conversation because people are not so focused upon eating an entire meal that is set before them. Diners can also stand and mingle while eating tapas. Try our wine suggestions with the tapas – they are specially chosen to enhance the flavours. Vinoteca has an extensive list of wines from around the world and also a great offering of beers, cocktails and spirits. 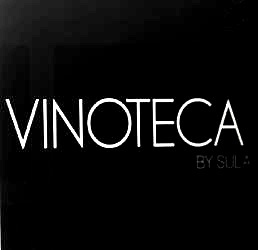 Authentic, healthy, affordable, and very, very social – that’s Vinoteca by Sula! The restaurant is open Tuesday to Sunday, between 12:00 noon to 4 pm for lunch, & 6 pm to 12am for dinner or an after-work drink. Vinoteca by Sula is closed Mondays and dry days. Address: Vinoteca by Sula, Sunville Banquets, under Worli flyover, 9 Annie Besant Road, Worli, Mumbai – 400 013. Valet parking is available. 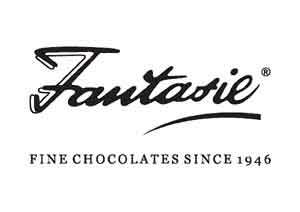 FANTASIE Fine Chocolates is a 65 year brand name for exclusive handmade chocolates. It is the most famous Indian designer Chocolate, well known for its creamy milk, rich roasted almond rock & soft centered pralines & European styled truffles. Their Chocolates are made under the supervision of personnel who have had experience from the finest European chocolatiers and are made with the Best and Freshest of ingredients.